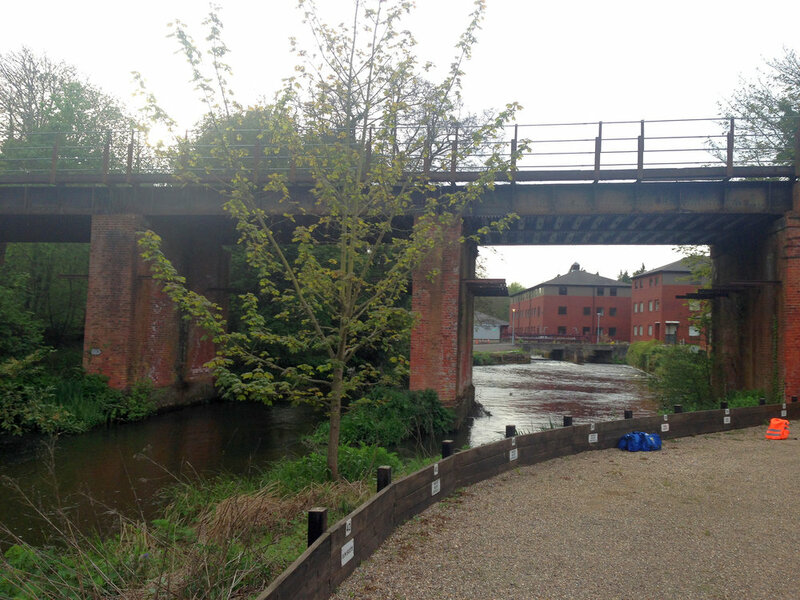 VEDA designed new bearings for the internal main girder of low mileage abutment to bridge structure 17/31 over the River Wey. Works included design of temporary steel support frame to allow temporary bridge jacking. VEDA were appointed by B&M McHugh undertake detailed designs and provide site support for permanent and temporary works required for bearing replacement to the internal main girder at the low mileage abutment. An inspection undertaken by VEDA on 07/05/16 identified that some bearings to the bridge structure had eroded under cyclic loading, with tapered voids formed under the end posts and visible 20mm pumping under train loading. The bearing replacement works required substantial temporary works to prop the bridge. 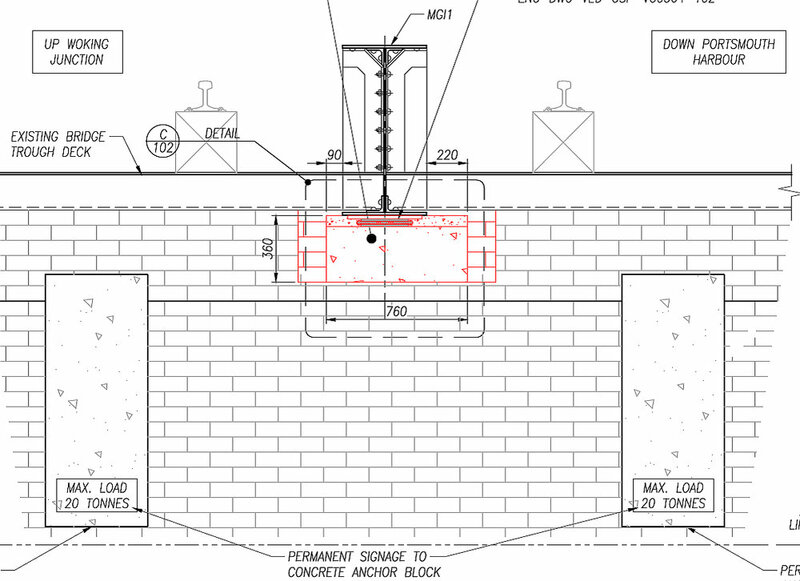 VEDA developed a scheme that reacted the temporary steel props off the abutment brickwork, eliminating any requirement for substantial works in the river. The scheme utilised a clever combination of steelwork, masonry, concrete and anchors to ensure all work could be undertaken from the scaffold deck and completed within the available 52 hour possession. Site support was provided by VEDA and all works were completed and handed back 3 hours ahead of time. The pumping noted to the bearing was fully eliminated upon completion of the works.